Our new beam-line system, the Voortman V808 is able to reach all 4 sides of a profile, without manual intervention which makes the V808 very suitable for layout marking and cutting square tubes. It can create layout marks as well if needed. 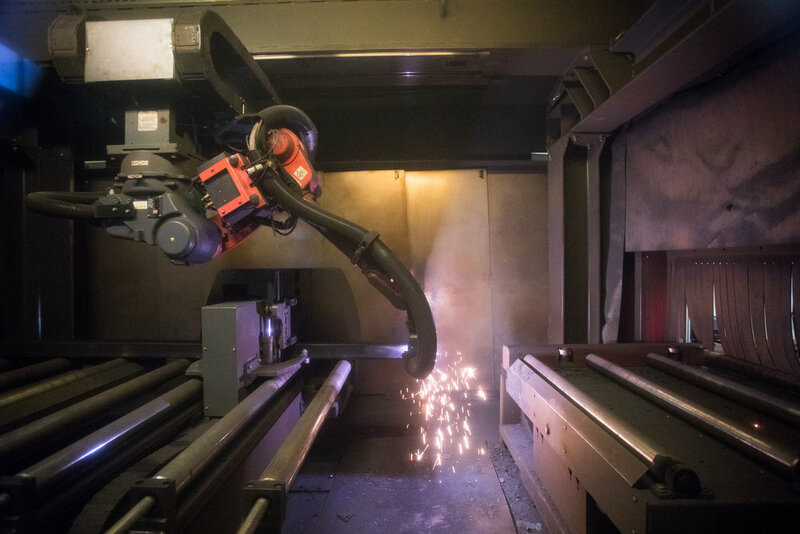 It is able to cut the front, but also the back of a profile and it is possible to create a cutting area on either side of the measuring system, which is situated in the middle. 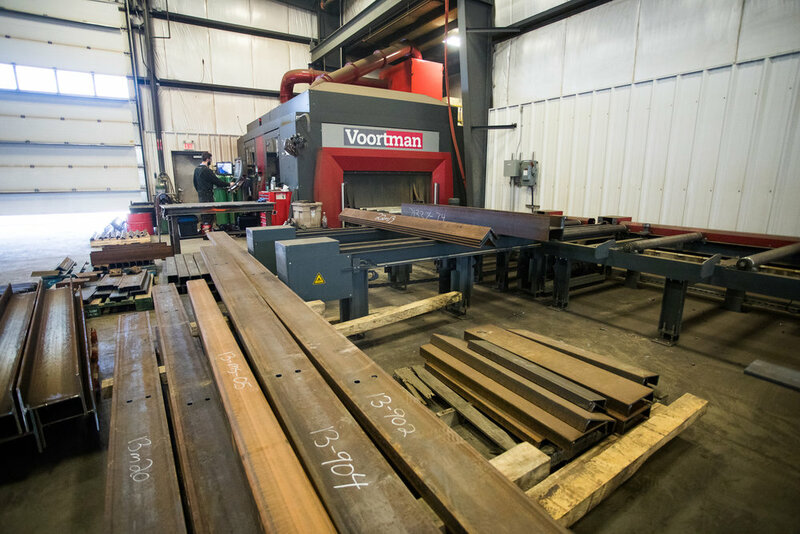 Our V808 coping system has the fastest measuring system available on the market; the Voortman roller feed measuring system. 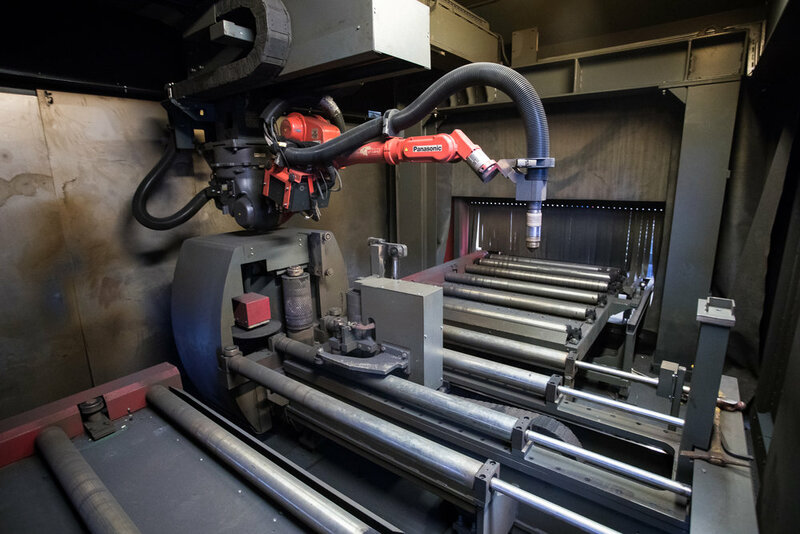 A driven roll and a pressure roll firmly clamp the profile and a separate measuring disc keeps track of the profiles position while moving it with high speed. As the profile needs to be clamped only once, waiting time is eliminated and it keeps the measurements precise. 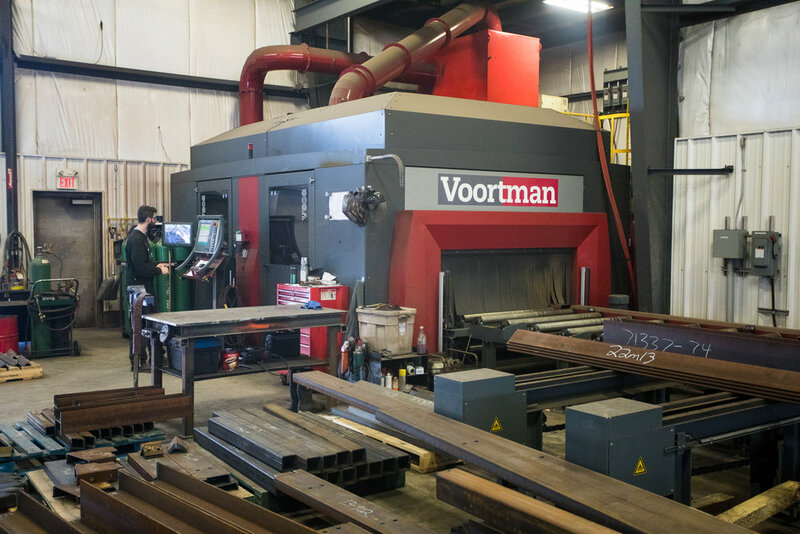 The Voortman V808 is equipped with a high-definition plasma source, making it up to 10x faster than a regular oxy-fuel cutting machine. 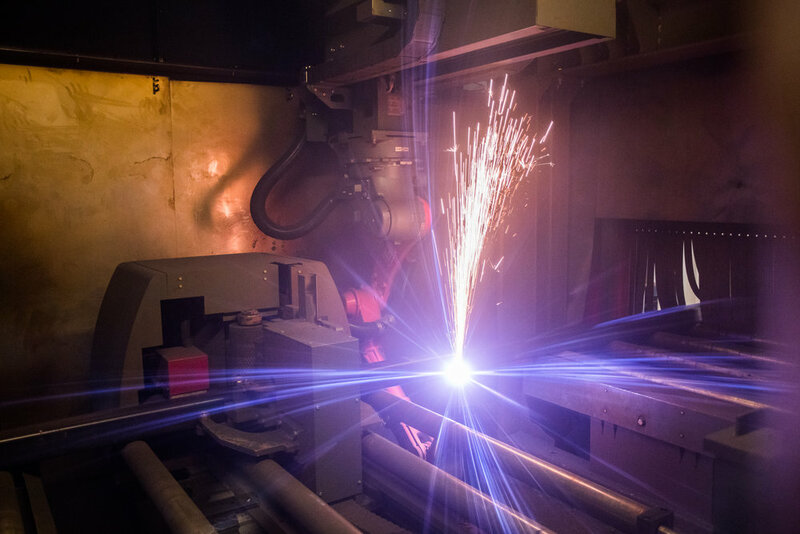 There are several types of plasma sources that create faster cutting speed and enable piercing and cutting of thicker material. 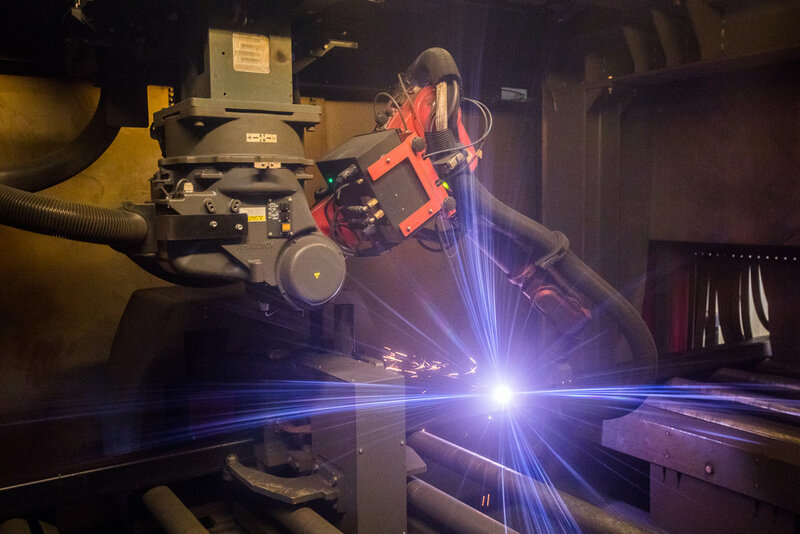 It is also possible to change to oxy-fuel cutting to cut very thick material. The V808 is running with VACAM software which enables the coping system to create the cutting program fully automatic directly from DSTV. There is no need for manual programming which saves a lot of valuable time. If we need to cut a part of which there is no DSTV, we have experienced detailers on-site to create the required files and send them to the machine with the click of a button.